Vision is the most important of the five senses. 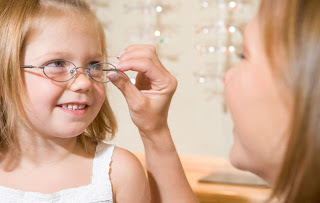 There are important milestones in a child's development where vision is primary. A baby several months old can only focus on objects up close and only in high contrast colors such as black, white, and red. But by 6 months, his sense of vision is sharper color vision and better eye movement and hand-eye. coordination skills. 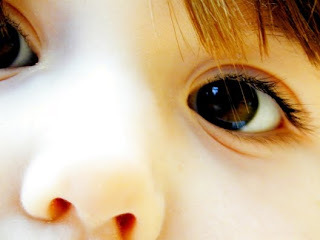 It must be noted that premature babies are at greater risk of eye problems than full-term babies. 85% of what a child learns in school is presented visually. In school, a child has to look at a chalkboard far away from where he or she is sitting then suddenly shift focus to writing down notes on paper up close. Yet in the U.S., 80 percent of children have never had an eye exam or any vision screening before kindergarten, statistics say. When they do, the vision screenings they typically receive can detect only one or two conditions. The researchers are currently performing a clinical test at Tullahoma's Walmart Vision Center to test children's response to the cartoon and to compare their results to doctor's exams. They recently received $15,000 from the UT Research Foundation to assist in further developing the technology to improve positioning for licensing and commercialization. The scientists say they have industry interested in taking their invention to market.